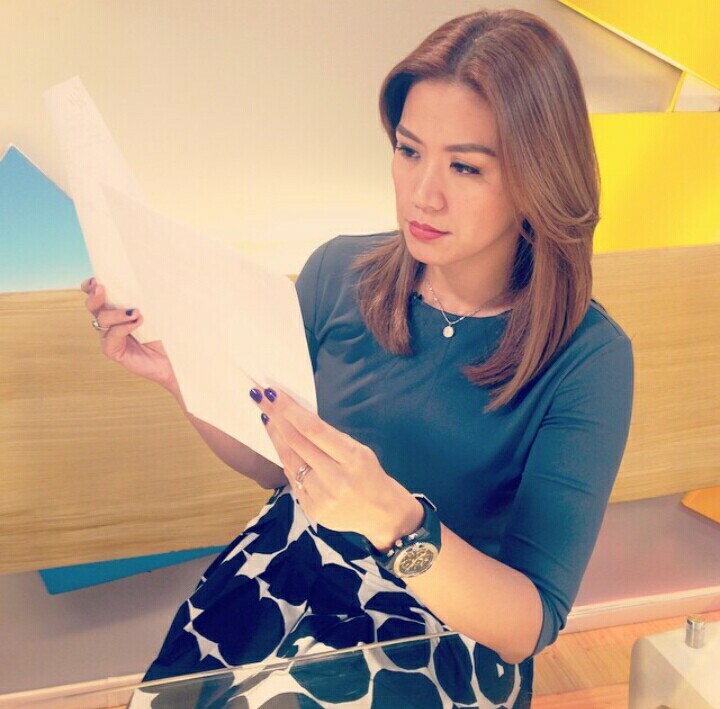 Unang Hirit anchor Rhea Santos has announced on Friday that she would be taking some time off from work. "Officially on voice rest ❤️ Will miss bantering with these ladies @susan_enriquez @conniesison," she posted on her Instagram account @msrheasantos. The longtime co-anchor of the GMA-7 morning show and host of the top-rating Tunay Na Buhay will be taking a break to recuperate her voice. "My voice doctor saw a nodule in my vocal chord," she shared on another post. "Either I rest my voice for several weeks and take meds or undergo surgery." Nodule or vocal cord nodules are "calluses of the vocal fold developed from strenuous voice use" according to the Osborne Head and Neck Institute. It adds: "Vocal nodules are commonly associated with a constellation of symptoms including, progressively worsening hoarseness, breathiness, rough or scratchy voice, or decreased pitch range." Santos' goal, of course, is to get through it. She will have to assess whether a surgery is needed in the coming weeks. "Surgery will always be the last option," she said. "It's been years and it's time to enjoy silence."